César Fumero is currently appointed bass trombone of the National Symphony Orchestra of Costa Rica and the Quartet Trombones of Costa Rica. César Fumero was principal trombonist of the Concert Band of Alajuela (2013-2015) as well as the Concert Band of San José (2011-2013). As a musician, he has been able to collaborate as a guest musician in the National Symphony Orchestra of Costa Rica repeatedly as well as perform as a solo guest with both the San José Concert Band and the Alajuela Concert Band. Fumero has been able to work with great conductors such as Jahja Ling (San Diego Symphony), Brett Mitchell (Colorado Symphony), Glenn Price (Cincinnati College-Conservatory of Music) Thomas Verrier (Blair School of Music, Vanderbilt University), José Serebrier (Uruguay), Andrés Cárdenes (Carnegie Mellon University) or Carl St. Clair (Pacific Symphony, Costa Rican National Symphony Orchestra to mention a few. It should be noted that parallel to his professional career in the field of classical music Fumero was part of the Latin music project “Son de Tikizia” in which two Latin Grammy nominations stand out, one for the album “Bolero” and another one for the single “Acércate” in collaboration with the singer Tamela Hedstrom. 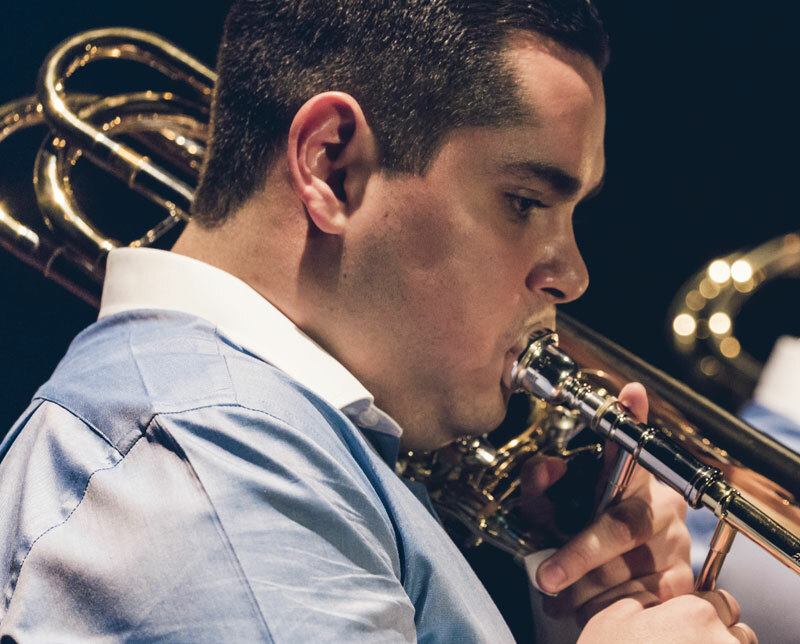 César Fumero graduated from the University of Costa Rica where he studied the Bachelor’s degree in wind instrument or percussion with an emphasis on trombone under the guidance of the maestros Martín Bonilla and Iván Chinchilla. Later he continues his studies of the Master of Music at the Cleveland Institute of Music with Randy Hawes and Massimo La Rosa in addition to professors Yasuhito Sugiyama, tubist of the Cleveland Orchestra and Michael Sachs, principal trumpet of the Cleveland Orchestra. Today, César Fumero is active as the bass trombonist of the Costa Rican National Symphony Orchestra and the Quartet Trombones of Costa Rica as well as recital projects and master classes.